Woods describing his pre-shot routine for the full swing. This is old, but I've never actually heard him talk it out like this before. Ratings 7.7 for final round compared to 8.7 last year. Still not bad considering earlier start. Guessing a lot of the audience going to church plus West Coasters were lost. According to someone on reddit who watched an ESPN piece, Woods was 44/65 in driving distance, 48th in putting, but #1 in GiR, 58. Masters 2019: Tiger Woods Strategy Peaki for Big Events Tiger Woods reflects on his road back to winning a major again. New Nike commercial. This doesn't get old. It's only four weeks to the next major. It's gotta favor whomever was playing well at The Masters. Not saying Woods is going to win, he's probably going to be dog tired making the media rounds, celebrating, etc... But it's at Bethpage and it's going to be fun to see what happens. No Laying Up podcast a good overview of the tunament. They made a good point on the masters.com site I did back in this thread. 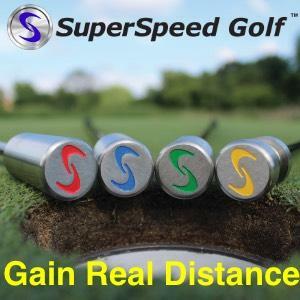 You can go to the site, to the tracking page and almost see every single shot in decent quality video, selecting by hole or player. That's awesome. 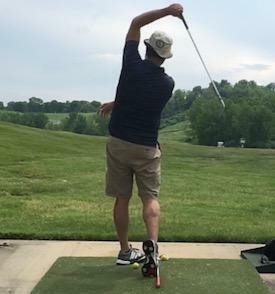 More speed, lead wrist more flexed at A4 (hitting too many shots right, this should close the face), feel more sitting down and around and pinch lead arm at 4, extension post impact. 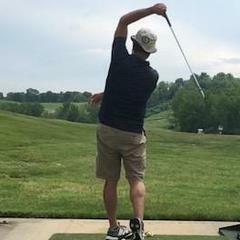 Adding more full speed swings to practice, still not swinging hard enough in practice, when swinging aggressively on course, swing falls apart. Mixing in half speed swings to keep form. I’m gonna freakin’ frame this.